• The Marvel Whitmans. In my column in Comics Buyer's Guide #1609, I discussed what had been a long-held misunderstanding by many collectors — that the so-called "Whitman" Marvels were all reprints. These were the copies with the issue numbers and prices in "fat diamonds"; Nick Pope's excellent record of them is here. Shooter said the program was developed specifically for Western Publishing and its Whitman bagged edition program, and that they were definitely printed simultaneously with the Curtis newsstand editions. The only reprints are those that are labeled as such, like Star Wars adaptation copies. When I asked about reports of direct market retailers having bought copies from the Whitman run, Shooter said he did not believe that any dealers received any copies from it. Phil Seuling's direct-market pioneering Seagate was getting Curtis newsstand copies, he said, which was why the move to a special non-newsstand trade dress was eventually made in 1979. I'm not sure how to reconcile that with the anecdotal reports: since the logo for that was a squashed diamond shape (and, reportedly, inspiration for the name Diamond Comic Distributors), it's possible some retailers were remembering receiving later issues not from the 1977 to early 1979 Whitman run. • Dazzler and the direct-only titles. Something Shooter did have an exact number for was the number of copies the first Marvel direct-market only comic book sold: Dazzler #1 had orders of 428,000 copies, he said. It was ironic, he said, because an issue featuring a new, untried character had been deliberately chosen for the test so as not to antagonize Marvel's newsstand accounts. If anything, the enormous orders that the title received only served to underscore even further the enormous potential the emerging comics shop market had. I also asked about the trio of titles that eventually moved from newsstand exclusively to the direct market — Ka-Zar, Micronauts, and Moon Knight. The selection of the titles was specifically motivated by their relative strength in the comics shops, he said; naturally, Marvel was able to look at numbers from both markets. It's a relatively early case of target marketing using direct-market sales figures as a guide. • First issues. In the 1950s, we saw that many publishers chose not to begin new series with #1s, completely contrary to today's market logic! Newsstand dealers and readers, the story goes, were reluctant to buy into untried titles — and so we saw titles started at artificially high numbers, or adopting the numbering of other completely unrelated titles. I had asked Paul Levitz about how real this effect was and how long it persisted in comics back in my column in CBG #1623. Part was conventional wisdom and part was rooted in logistics, he said; because there were so many independent distribution agencies to deal with, getting a new title prepared for the market was a complicated, manual process — and up through the 1960s, it was probably easier to change a title's name and content without renumbering than it was to set up a new product in the system. Shooter said he believed it was probably conventional wisdom that the staff of Atlas — a Marvel precursor — bought into thoroughly, and certainly Atlas had a huge number of comics starting at odd numbers, with titles changing names repeatedly. 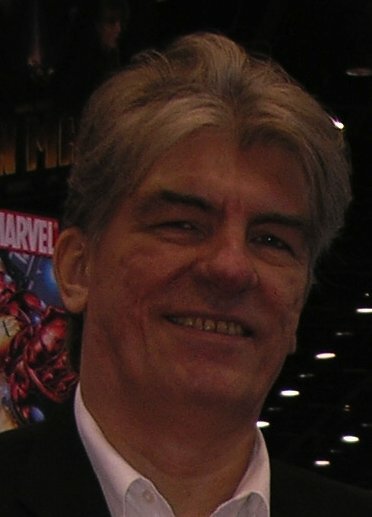 Whether the bias against first issues was really much in effect on the part of the newsstand distributors — and he was skeptical of that — he figured that it was almost certainly no longer the thinking by the late 1960s, around the time that Marvel's distribution deal changed allowing it to launch several new series, from Iron Man to Sub-Mariner. Those are just a few of the topics touched on — but they include some things I've wondered about for a long time. I appreciated him taking the time to discuss them! Sounds like a great conversation.